Ideas That Work: Do You Let Patients Go Home Alone in a Taxi? Ideas That Work: Are Your Laryngoscope Blades Disappearing? Coding & Billing: Are You Leaving Money on the Table? 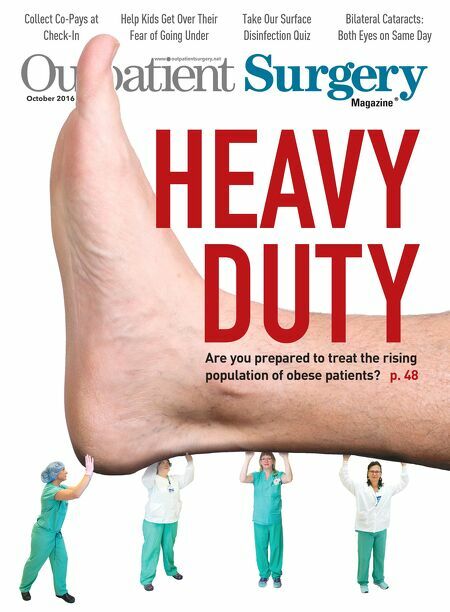 Heavy Duty: Are you prepared to treat the rising population of obese patients? Can You Pass Our Surface Disinfection Quiz? Should You Add Laser Floater Removal? Can You Speed Up Your Reprocessing Department? Cutting Remarks: Wanna Get Away?